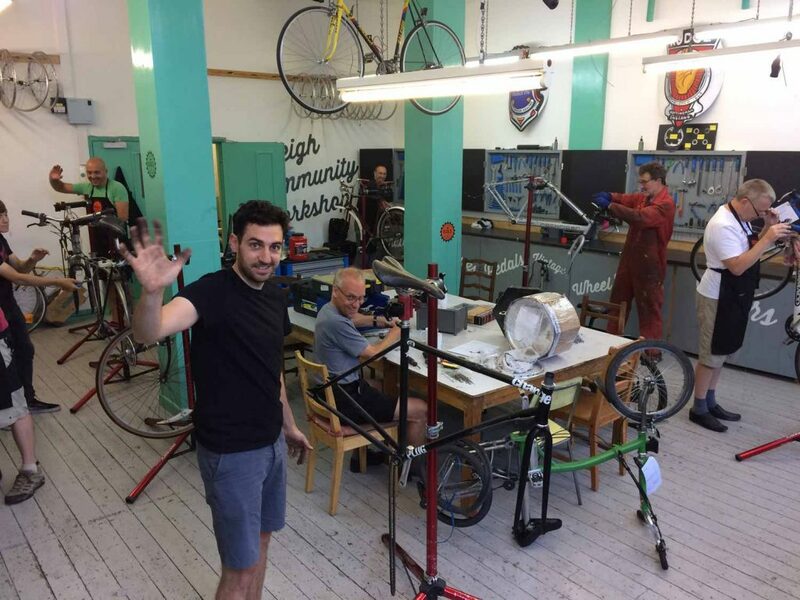 Nottingham Bikeworks began life back in 2013 when founder Tom Barber started repairing customers’ bikes in his own garage alongside working freelance as a cycle mechanic and instructor. He soon realised there was an opportunity in the city to launch a much more ambitious community focussed bike-recycling and teaching workshop. The hunt for suitable premises took months but when Tom first walked into Ayr Street Workshops, an old industrial Victorian mill in the Arboretum he knew this was the place. Owned by the City Council, it was in a poor state of repair, much of it having sat empty for years, but with high ceilings and great natural light it was an ideal space and, most importantly of all, just about affordable. 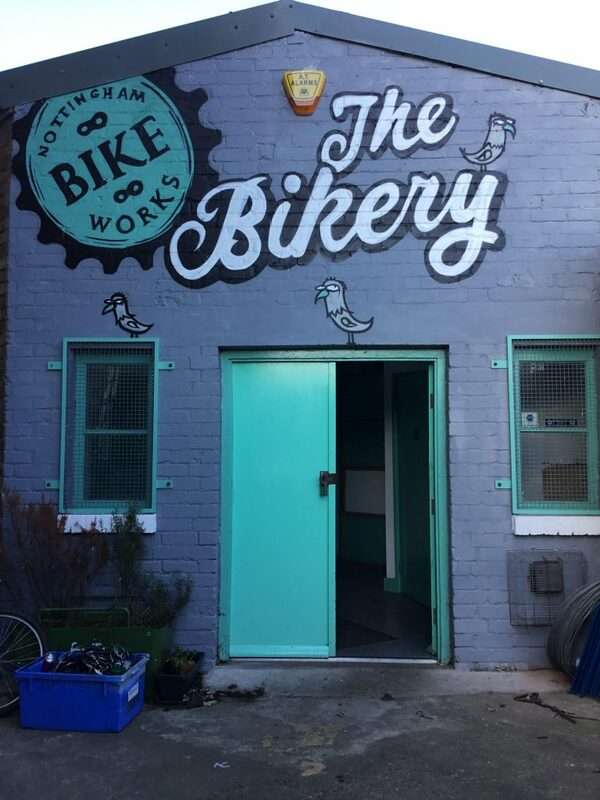 We took up the lease in October 2014 and Nottingham Bikeworks proper was born. With fellow local bike nut Anthony Hopwood now on board and a group of amazing volunteers, the first few weeks were spent frantically cleaning, painting and building. When it came to equipping the workshop we approached Raleigh, an iconic Nottingham industry, whose first factory back in the 1880s was located a stone’s throw from our premises. They generously provided us with professional quality tools at a brilliant price and within a few weeks the Raleigh Community Workshop, still the beating heart of Nottingham Bikeworks was ready for spannering. Within a couple of weeks we launched the first of our workshops for the refugee community that still continue to this day. Over time we have worked hard to improve and develop the premises and though we don’t pretend its slick or glossy it does provide a friendly and welcoming space for all members of the community. In 2017 we had the chance to take on an adjacent single story extension, which had been even more neglected than the main building. After shedding a quantity of blood, sweat and tears, by summer of 2018 this new self-contained space, christened ‘The Bikery’, was finally ready for action. 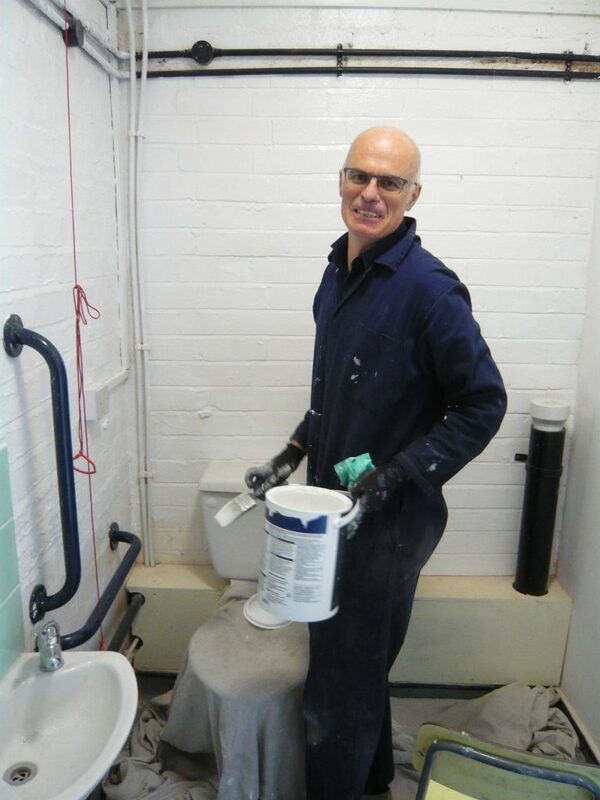 It provides a second smaller workshop, a fully accessible toilet and a break-out/ kitchen area and will allow us to really expand our range of activities especially our training and education programmes and the provision of a drop-in workshop sessions where anybody can come in and fix their own bikes. 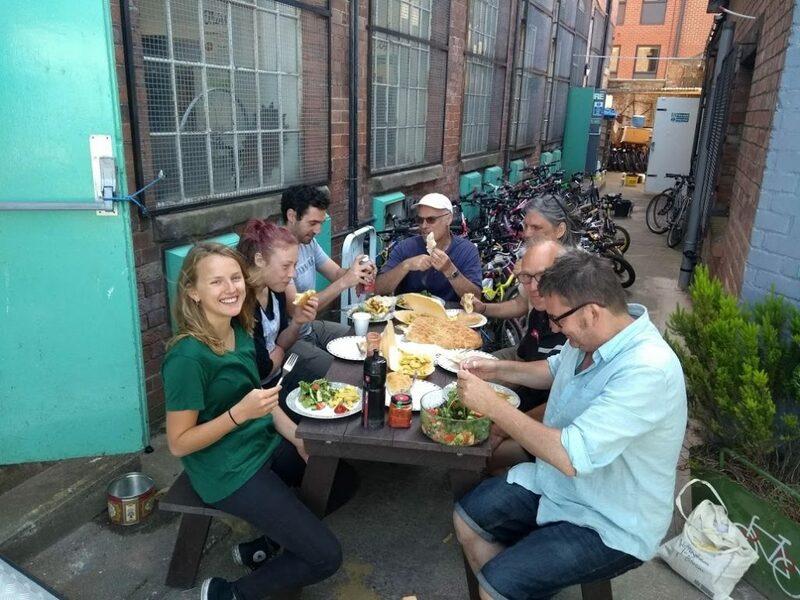 And of course, knock up even more food and drink, an indispensable part of all we do at Nottingham Bikeworks.